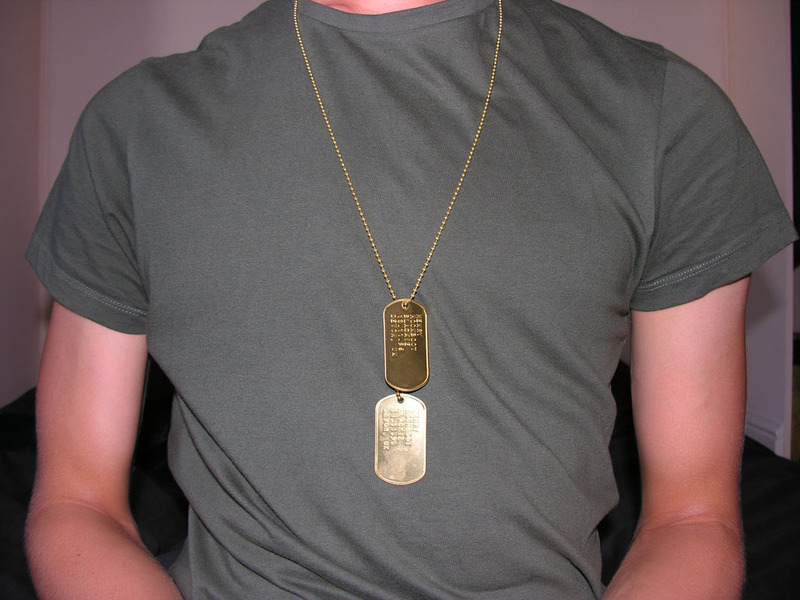 Solid Brass shiny surface, may gradually patinate. 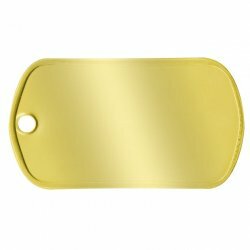 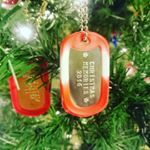 If you are looking for something a bit more unique that stands out, consider our cartridge brass dogtags made with 70% copper and 30% zinc. 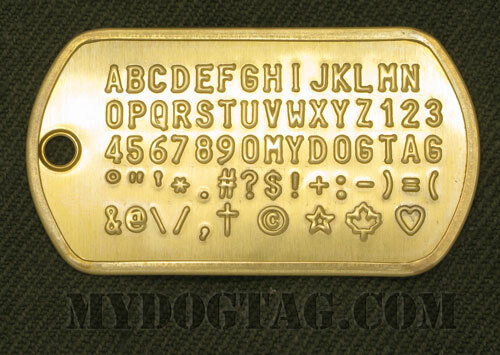 The brass tags will oxidize and tarnish over time giving them a vintage type look also known as a patina effect. 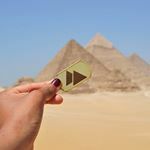 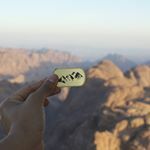 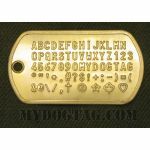 This oxidation occurs naturally and is an invited characteristic of brass dog tags. 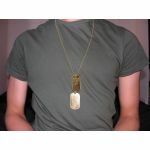 We also offer a brass dogtag with 2 holes or with an embossed Rod of Asclepius logo for medical information. 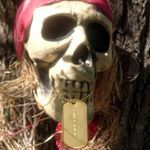 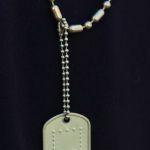 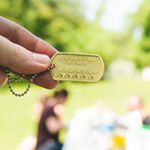 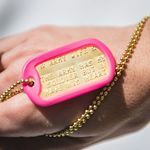 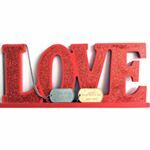 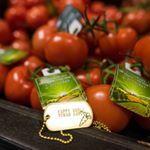 Consider choosing our brass ball-chains, brass snap hooks, or brass keyrings with these tags. 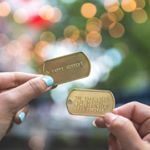 See an example of a fully customized Brass Dog Tag as a Gold Medal Award.